Another trip to Bletchley Park today but this time to the Museum of Computing where I was able to view more decoding machines. In the previous post I mentioned the German Enigma machines and how Alan Turing played a key roll in developing the bombe machines which assisted in identifying the daily ‘key’ to the various Enigma codes. Alan Turing had very little involvement with the deciphering of the German high level codes which were created using the Lorenz encryption machines. 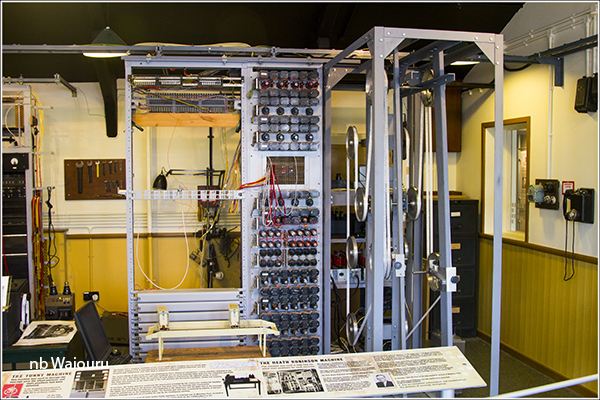 The British had received an Enigma machine from the Polish codebreakers but they had never seen a Lorenz machine. Imagine you knew someone was going from A to B quickly using something you had named a car. You also needed to get from A to B quickly and built your own car to do this. The chances of both car’s looking the same are extremely unlikely. And so the British Lorenz machine looks nothing like the original German. The Enigma machine was first built with 3 wheels (cogs) each having 26 ‘teeth’. During the war the Germans added a 4th cog along with two additional cogs as replacements. From 1941 onwards the British knew the Germans had another machine for high level communications between senior commanders. They nicknamed the machine ‘Tunny’ but they couldn’t decipher the messages. Eventually a German operator made a mistake and sent the same message twice without changing the machine settings. This gave the British two one foot lengths of paper punch tape with different punch hole positions but they knew the message was the same. The tapes were given to Bill Tutte, a brilliant mathematician who spent a month on his own examining the tapes and from them deduced the Lorenz had 12 cogs and each cog had a different number of teeth. He even correctly identified the cog sequence. This was an incredible feat. Tutte went on to create a methodology for identifying the starting point for each of the cogs. 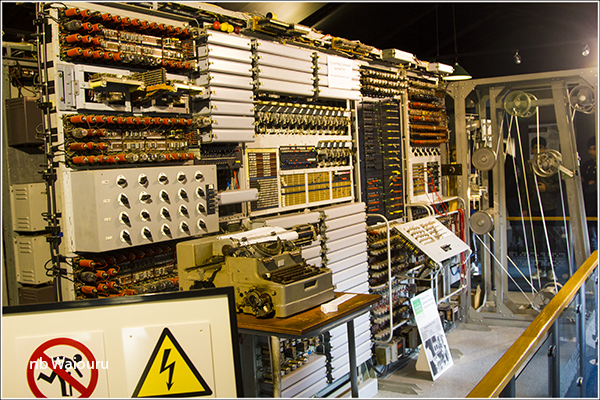 The Tunny messages would be received by British wireless listening stations in the SE of England and then sent to Bletchley Park for decoding. Because the British were now able to identify the starting position of the Lorenz and knew how it worked (albeit they hadn’t seen one) the encrypted messages could be manually decoded by staff in the ‘Testery’. But it was slow work and the volume of messages was dramatically increasing. Max Newman then designed a machine to do the decryption. The female naval ratings who operated the machine named it ‘Heath Robinson’ after the cartoonist William Heath Robinson, who drew immensely complicated mechanical devices for simple tasks. The Heath Robinson ran two synchronised paper tapes in the “bedstead” where the punch holes were read by a photoelectric cell. The problem with the machine was the paper tapes would stretch and get out of synchronise. Additionally, the speed of the tapes was limited to 25mph. Tommy Flowers then designed a new machine which would operate using electric vacuum valves. Many of the key staff were sceptical about his idea but he was given approval to design and build the machine. Flowers and his team managed to build it in 11 months and on it’s first run it amazed the cryptologists by breaking the Lorenz code in the 10 minutes. A tape transport and photo-electric reading mechanism very similar to Heath Robinson's. A coder and adder that simulated the Lorenz machine using thyratron rings. A logic unit that performed Boolean operations. A master control that contained the electronic counters. At the end of the war Churchill ordered all the Bombe, Heath Robinson’s and Colossus’ be destroyed. Except that two new Colossus under construction were completed and sent to what is now known as GCSB where they operated until 1960. Churchill distrusted the Soviet’s and they were never told the Allies had broken the Lorenz cipher. However the Soviet’s knew Enigma had been broken. 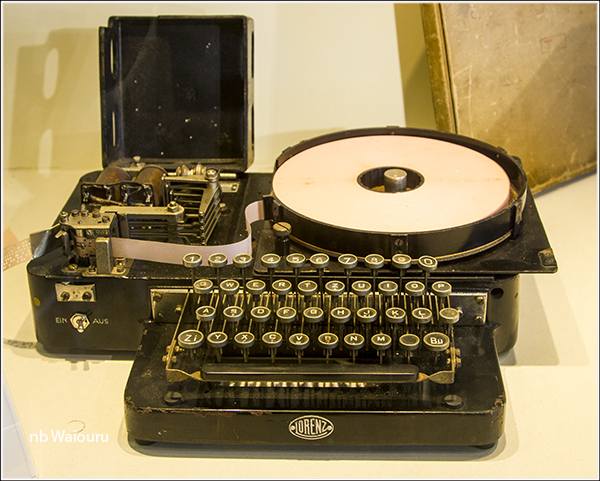 After the war the Soviet’s extensively used captured Lorenz cipher machines. Perhaps the British were listening? Thanks Tom for your interesting descriptions of Bletchley Park. 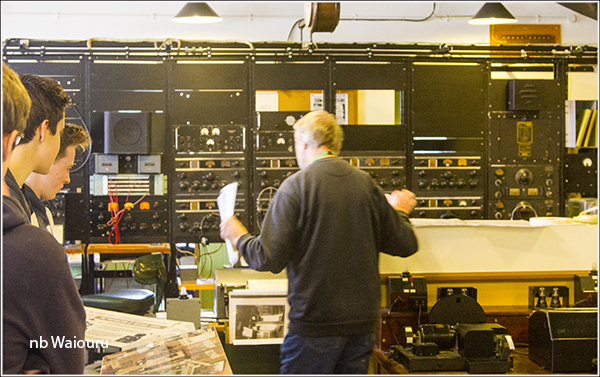 The amateur radio operators from VK/ZL (Australia & New Zealand) who visit the UK always try to visit Bletchley Park, as radio played a huge park in those communications. Those 2 posts make for interesting reading thanks for telling the story Tom. GCSB? Do you mean GCHQ? Oops, sorry Halfie that's the initials of the NZ equivalent! Yes Catherine, without the radio operators none of it would have been possible. Also the motorbike despatch riders (many female) who collected and delivered the messages in all weather.